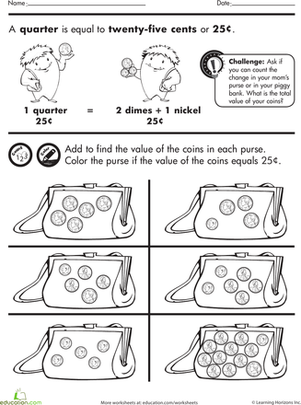 Here's a fun activity to give your 1st grader a lesson in the value of coins. Cut out the coins from this page and use them to buy all the candies. Now, that's a math exercise your kid will get!